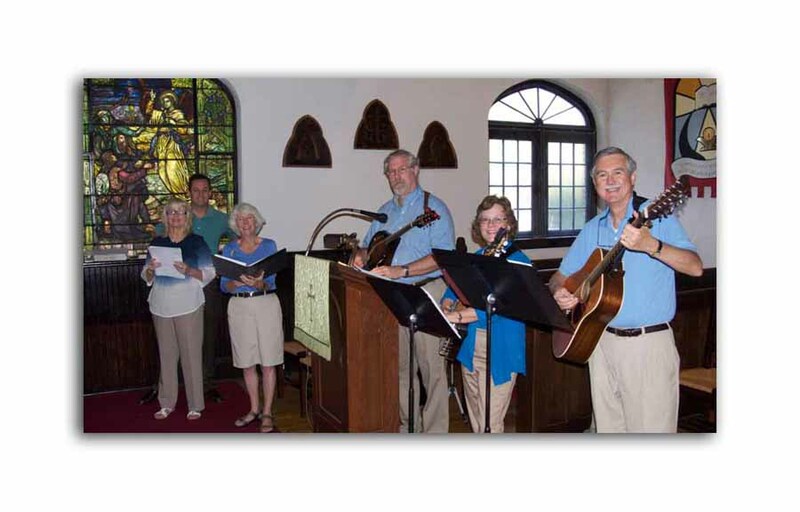 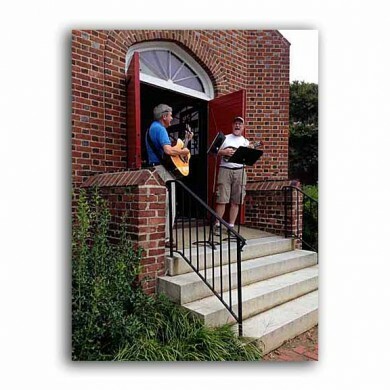 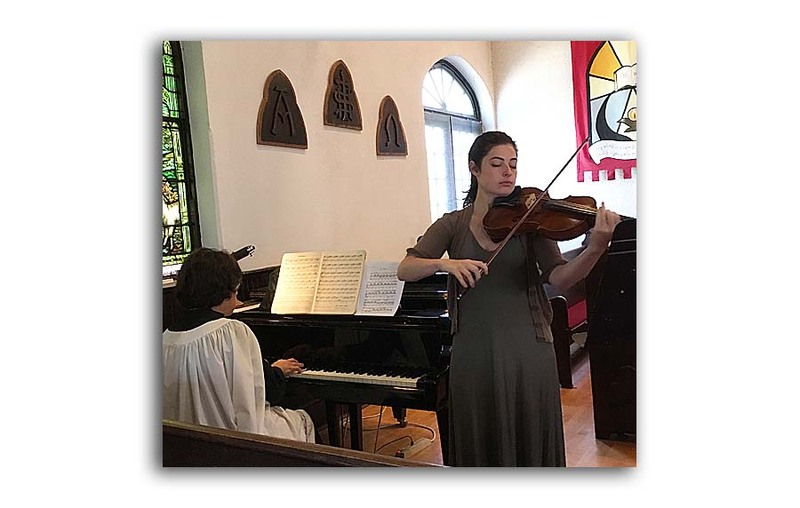 Music plays a particularly important role in the spiritual nourishment of any church, and Good Shepherd is no exception. 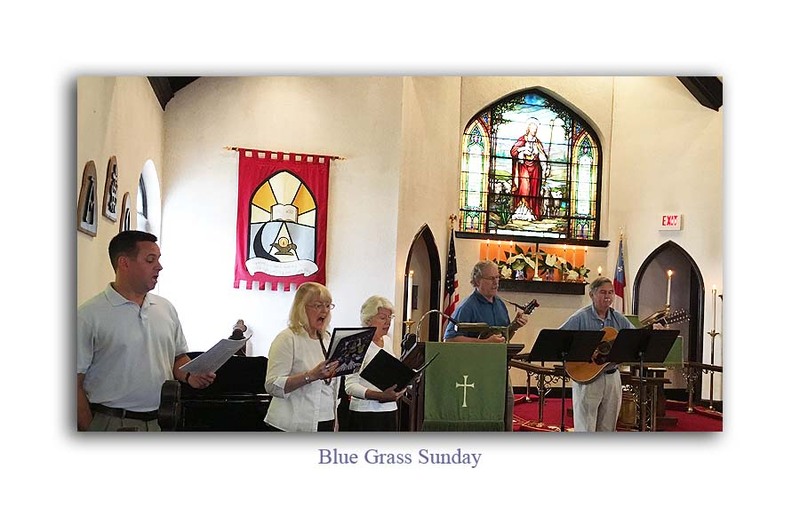 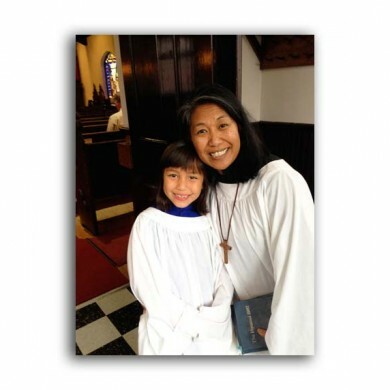 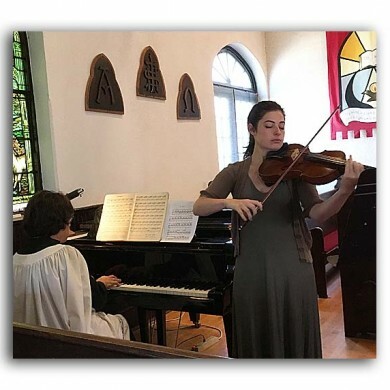 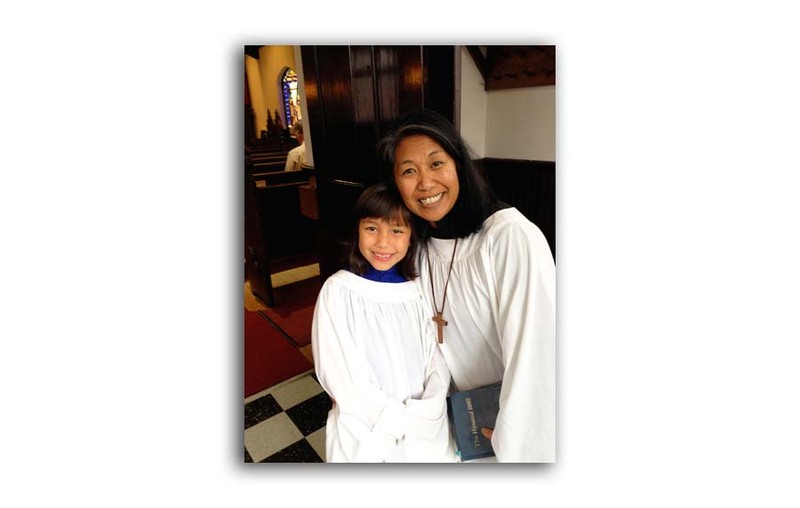 One will find significant opportunities to participate in all aspects of music within our parish, whether it be singing, playing, composing, arranging, or simply listening. 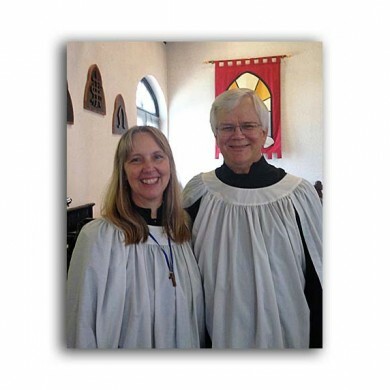 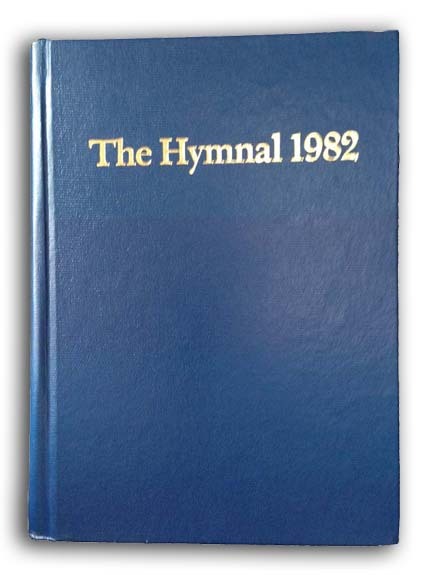 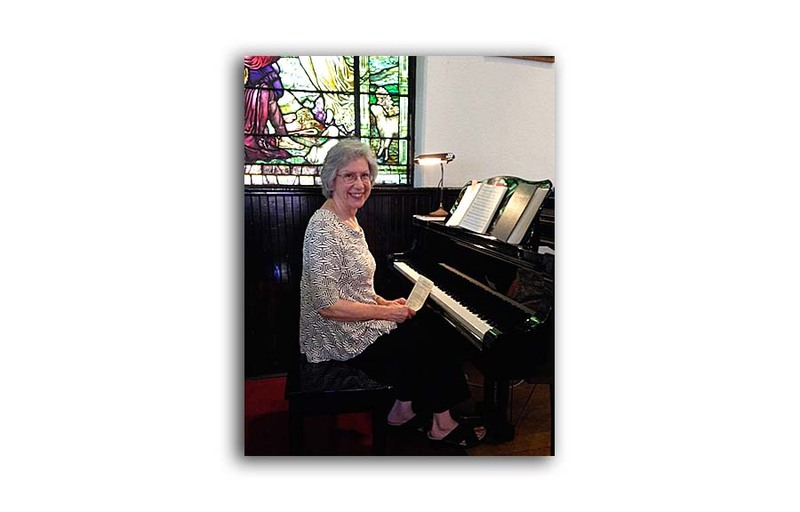 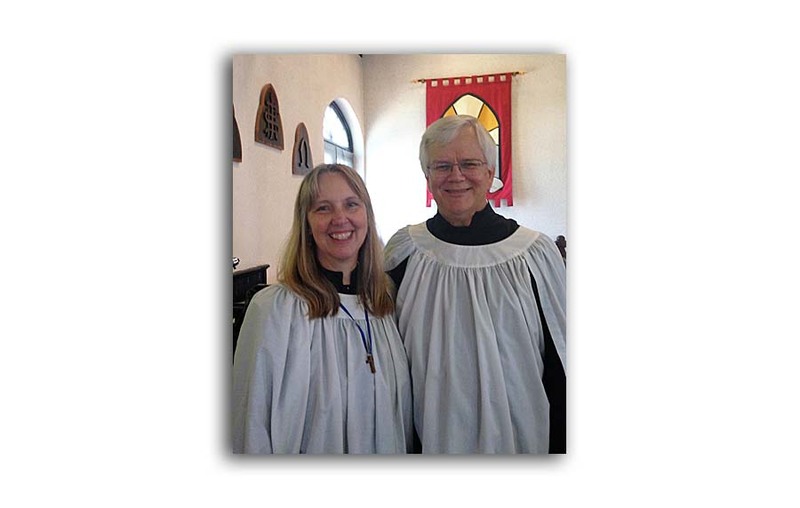 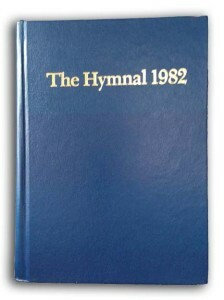 Although many styles are represented, an emphasis is placed on the classical repertoire and the Episcopal Hymnal. 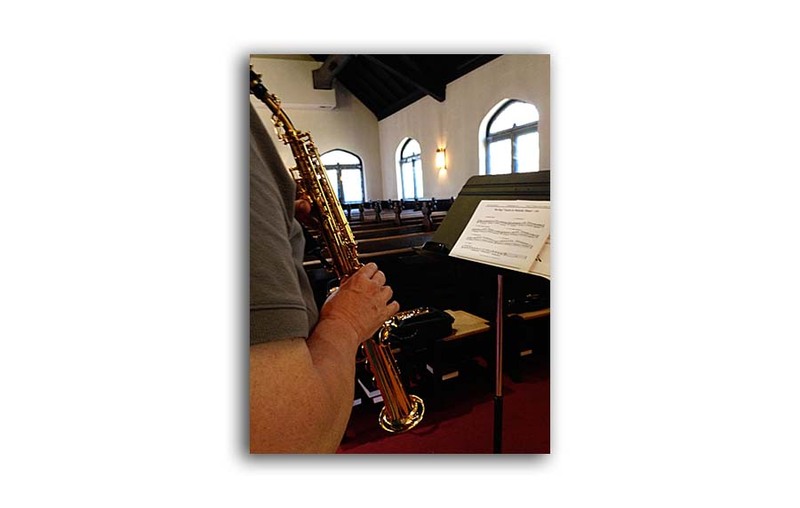 For an intimate congregation such as ours, we are fortunate to have an abundance of musical talent. 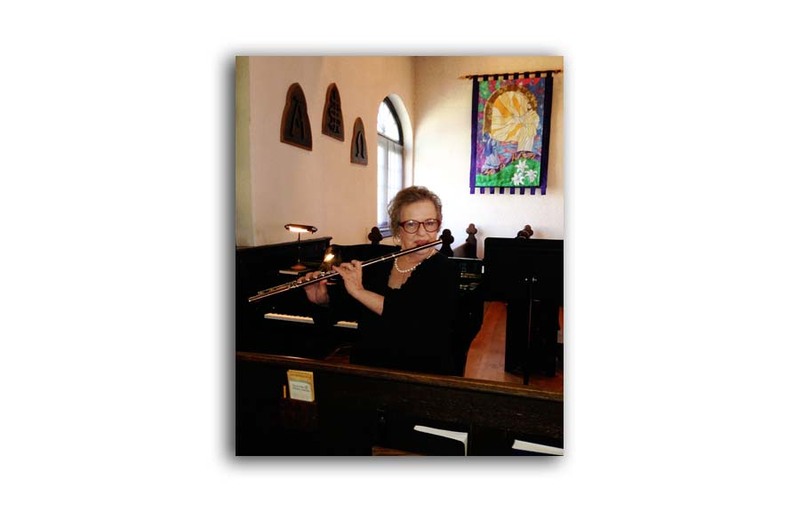 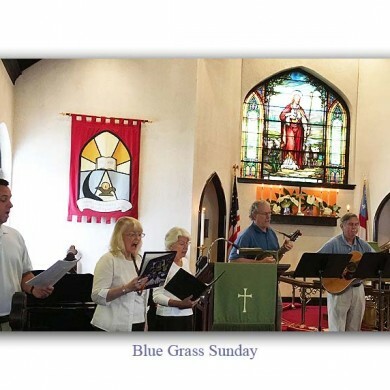 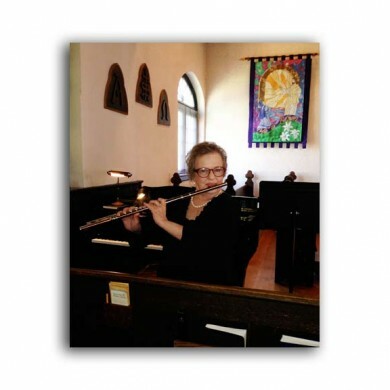 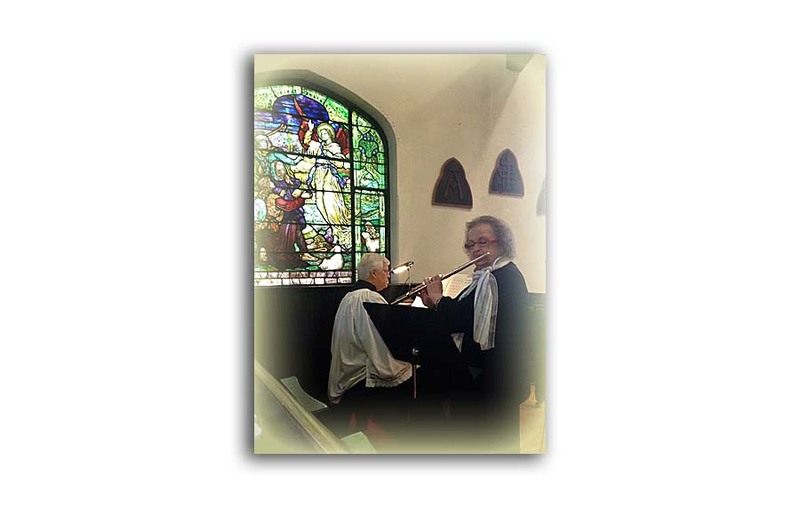 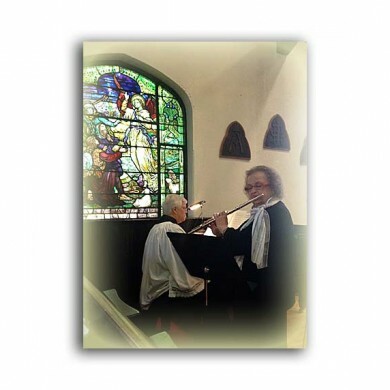 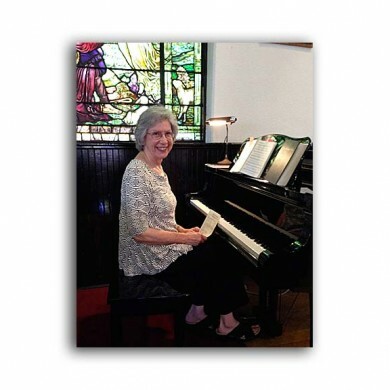 On a given Sunday, parishioners might hear members of Good Shepherd playing organ, piano, oboe, french horn, violin, viola, trombone, saxophone, and flute. 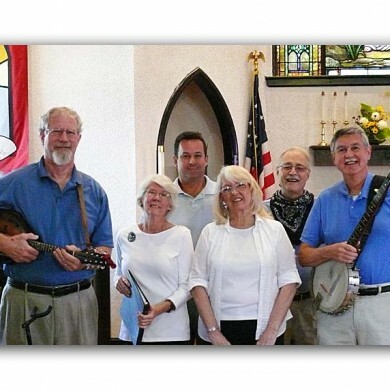 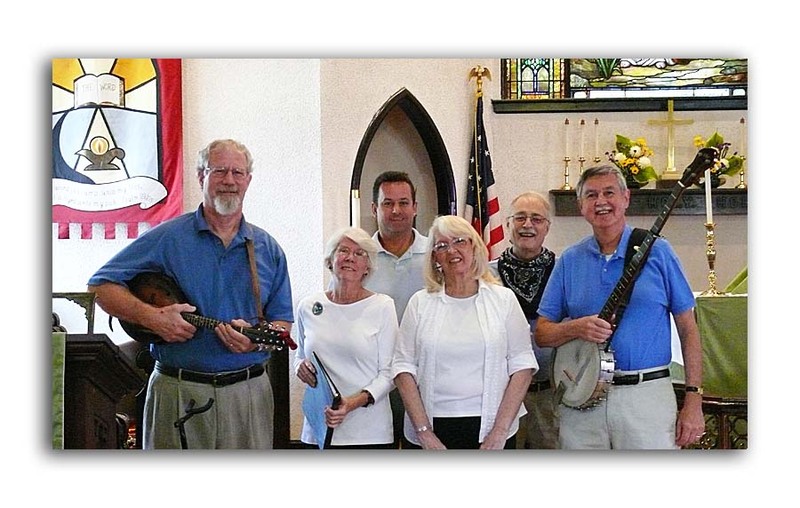 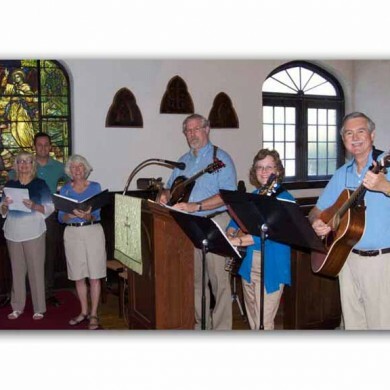 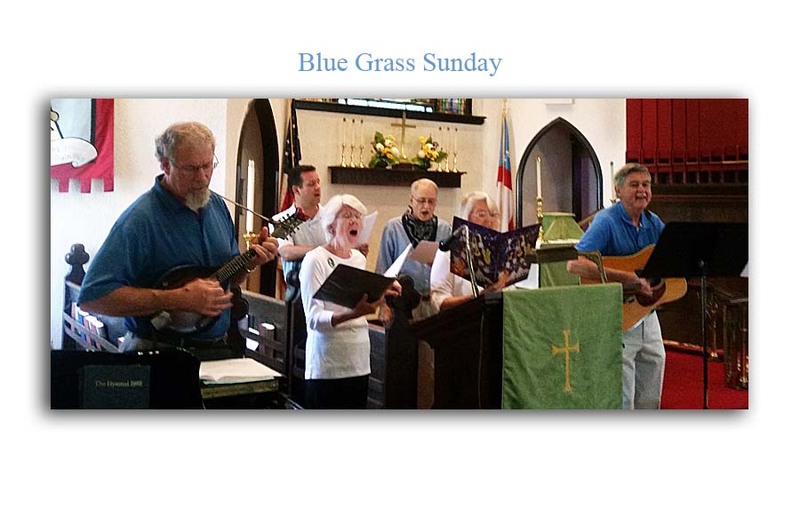 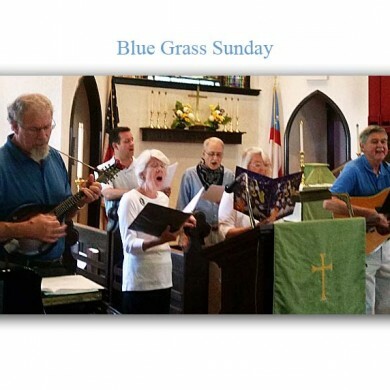 Past services have even featured more unlikely instrumentalists on harp, harpsichord, and even bagpipes, in addition to the very special services that feature our in-house bluegrass group on banjo, mandolin, and the like! 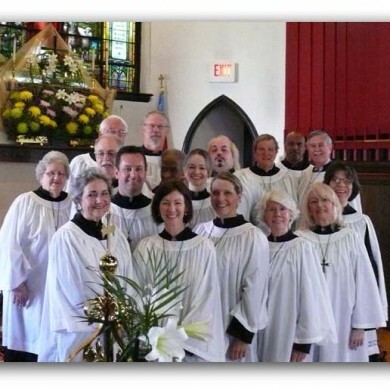 Likewise, our choir practices dilligently and has recently tackled some challenging pieces including sections of the Vivaldi Gloria and the Faure Cantique de Jean Racine. 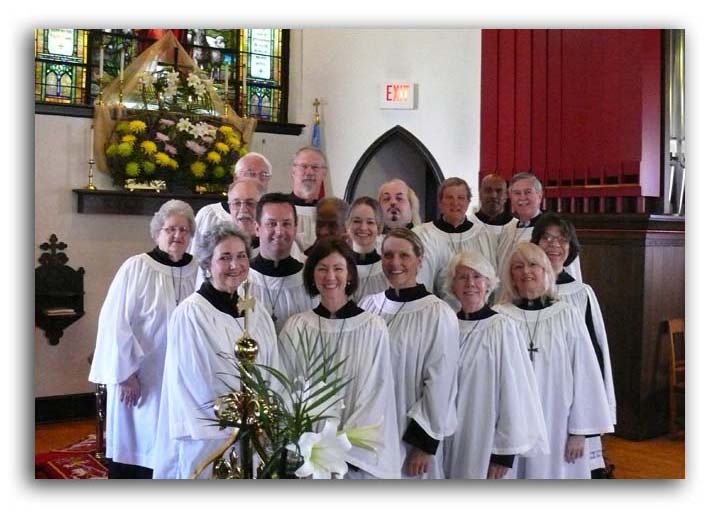 We also have a small group of chime ringers, who play at various times during the year. 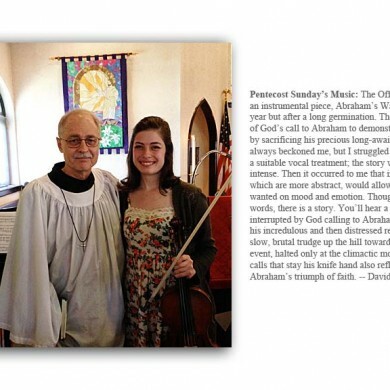 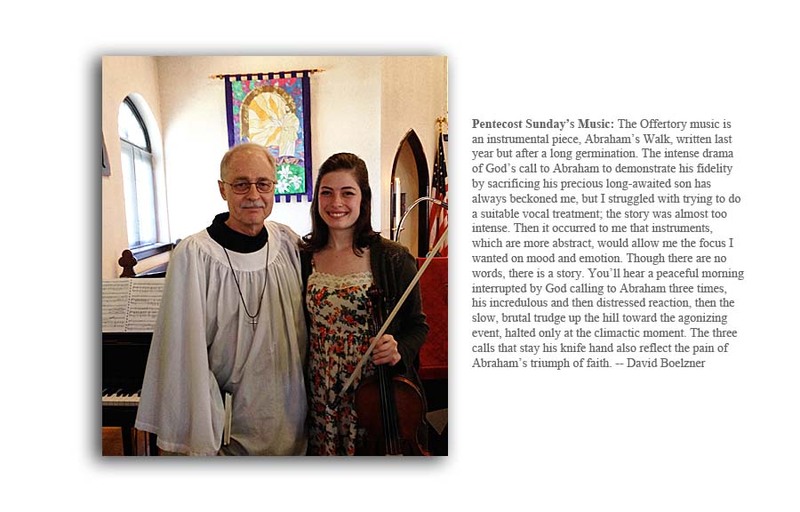 Please consider finding out for yourself what music is like at Good Shepherd. 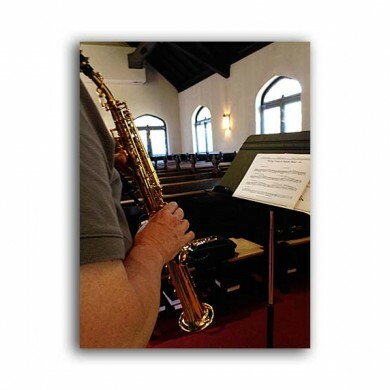 We’re certain you will discover appropriate musical settings that inspire the soul. 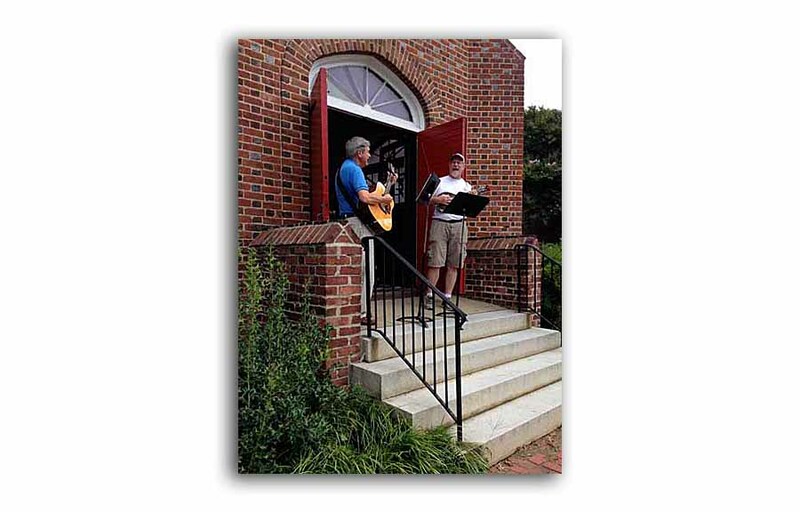 To see the full image, click on each Music Gallery picture below.